The MSR 2-Speed VTL turntable is a new technology that combines two right angle, 2-speed gearboxes to perform high power turning and precise C-Axis motion for milling. 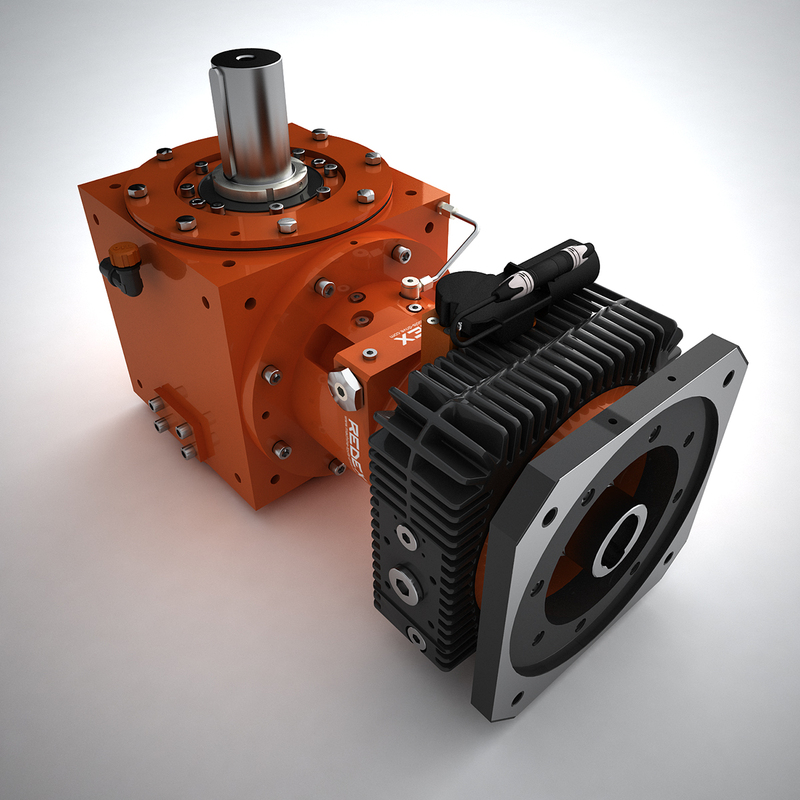 The MSR output pinions mesh with the turntable ring gear. 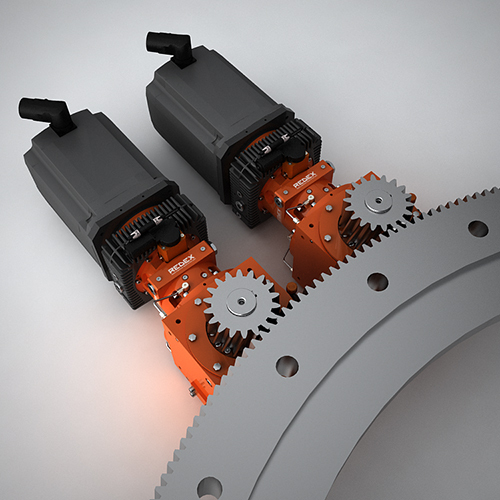 In the turning mode both motor-gearboxes work together sharing the load (50%-50%) and keeping the motor size ½ of a conventional main drive motor. During the positioning and milling (C-Axis) mode, one gearbox is preloaded against the other to eliminate backlash and insure accurate positioning. Furthermore, the gear ratio shifting covers the full range of speed required with high speed for turning and low-speed high torque for milling. Full load is provided during turning and backlash is cancelled during milling. The MSR is a compact system that dramatically simplifies VTL turntable kinematics and insures high performance with respect to speed range, torque and accuracy.